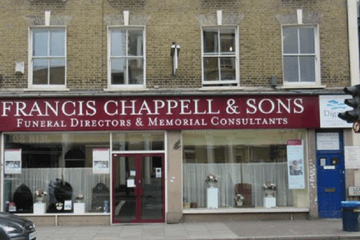 Compare funeral directors in Lewisham and read verified reviews on the UK’s online funeral resource. 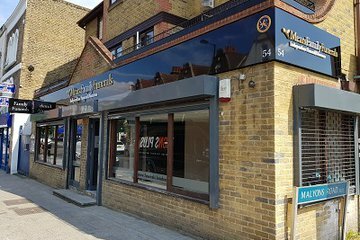 Use Funeral Zone Listings to find local funeral directors in Lewisham that meet your specific needs. You can organise the search results by ‘best rated’, 'nearest' or ‘most reviewed’. There is also a handy Google Maps feature so you can see exactly where each funeral home is in relation to each other. Elaine and FA Albin, Deptford We found out about FA Albins following the sudden death of our dear mother on 13 March 2019. 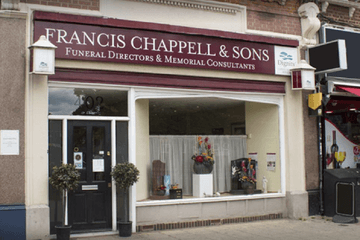 We never had a funeral director in place and so took to the internet to begin our search. We came across Albin and the reviews were 5* and contacted them. Immediately we were offered a service to collect our Mother but felt that being the first one we came across continued our search looking for alternatives to be on the safe side. Well it dawned on ud that after our intense internet search that we were safe hands from the first contact with Albins and called them again that night and instructed them to collect our mother. When the two gentlemen came to the house on time at 10pm as they advised they were extremely polite and showed respect to all whom were present. But most of all showed dignity to our late mother as they gently and competently prepared and took our Mother's body away even in the presence of many family members and friends. The morning after we were keen to meet the actual furneral director so we made an appointment with Elaine who from the first contact made us feel assured. We went to meet Elaine at the Deptford Branch with her infectious humour and laughter and her expertise enabled us to put things in place quickly. We left Albins in Deptford fully assured that our Mother was being fully looked after and that we were in very good hands. Throughout the process of arranging mum's funeral there was regular contact, updates, checks both by and with Elaine. Elaine ensure that we were always fully informed about the various elements and never made us feel we were a burden. She was always available when we wanted to call or visit and always greeted us with a smile. On the day of the funeral the standard blew us all away. The Albin team of undertakers arrived timely and well presented. The level of service received by George who led the way throughout the entire funeral was impecabble. He ensured that the family was looked after the whole day. From the placement of the wreaths, to the arrangements of the family in each car, to the planning of the journey, arrival at the church and organising of the pallbearers and placing the flower spray on the casket to the arrangements at the burial ground. Checking on family members and always consulting the family when needed. The detail was always there. The professionalism of the drivers was exceptional. They literally gave us a red carpet reception. The vehcile line up exhibited a stately service and mum definitely went in style. Each driver made the effort to rapport with their passengers and made us feel welcome throughout the day, opening doors and securing our belongings when needed and was always so courteous. Overall, the service received from Elaine and Albin Funeral Directors, Deptford was 100% and above expectation. We would definitely recommend Albins in the future and am eternally grateful to them for making our mum's homegoing that extra special. Everyone has been so very kind and handled all the arrangements with such compassion. From start to finish it felt like they were looking after a family member not a “client”, nothing was every too much trouble. They put my mum at ease and helped her through the day with such care and dignity. I know my dad would have been so proud of them all for looking after us. Could not have asked for anything more of them, would recommend them in an instant. Thank you all.